When you need a Davie Injury Attorney, call the Law Offices of Robert E. Gluck, P.A. 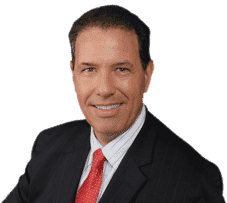 Robert Gluck has been helping clients since becoming a lawyer since 1989. He has the experience and knowledge to provide you with the legal guidance and emotional support you need. Whether you've been in an auto accident, fell on someone's property, or were the victim of medical malpractice, we can help you. Robert Gluck is a Davie Injury Attorney that will make sure you get the compensation you deserve for your injuries. He will start by opening a full investigation into your claim and gather the evidence he will need to prove negligence existed. Negligence is the legal standard one must follow to avoid injury to others. If negligence caused your accident, the at-fault party may have to pay for your medical care. Your Davie Injury Attorney will immediately find and speak with any witnesses to your accident to get their statement, take photographs of the accident scene, secure any video surveillance, assess any property damage, and obtain other evidence he will need to build a strong case for you. He will use everything he finds to prove negligence existed and get you the compensation you deserve. When you have a Davie Injury Attorney like Robert Gluck on your side, you're more likely to receive a higher compensation, according to many studies that have been done. You won't have to go through this difficult time alone. At the Law Offices of Robert E. Gluck, P.A., we will work hard to make sure the outcome of your case is a positive one.